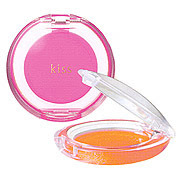 Kiss is a brand that I feature quite often on my blog as it's one of the most interesting drugstore brands in Japan. 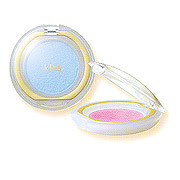 It's not as well-known as Majolica Majorca or Lavshuca and almost impossible to obtain outside of Japan but I like it as it's a fun, feminine brand with very affordable pricing. It's always interesting to see what they come up with as they usually release a new product or collection every month. 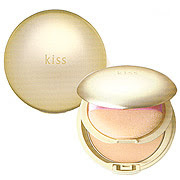 The quality does vary across the different product categories but overall, Kiss has been steadily improving in terms of both product quality and design. 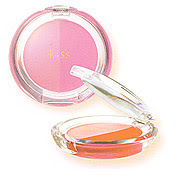 The latest products such as the new duo blushes and makeup bases come in much more elegant packaging compared to before but the price points have also been edging upwards. 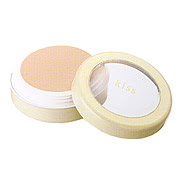 I was browsing through the Kiss product reviews on Cosme.net and came across pictures of many of their vintage products from years ago. 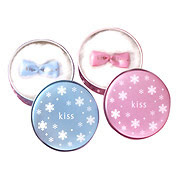 It was interesting to see that Kiss has a penchant for recycling certain words in their product titles such as "choco", "twinkle", "snow" and "angel". Anyway, I thought it would be interesting to post these up for those of you who also like Kiss just to see how the brand has evolved through the years :-) Enjoy! I came across this intriguing innovative product from Privacy on Cosme.net. 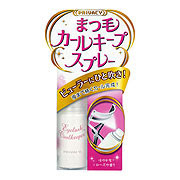 The Eyelash Curlkeeper (945yen, 20g) is like a hairspray for keeping your eyelashes curled for several hours. 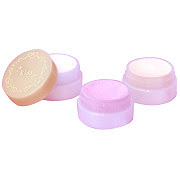 The Eyelash Curlkeeper is super easy to use. 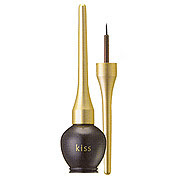 Just spray it on the external part of the metal above the rupper pad and then use your curler as usual. 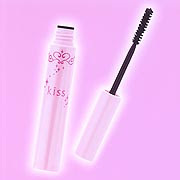 It also comes with a rose fragrance and has moisturising and treatment ingredients for helping to keep your lashes healthy. There are only a handful of reviews on Cosme.net so far but most of them are positive and noted that this really works to help keep lashes curled for several hours even without applying mascara. 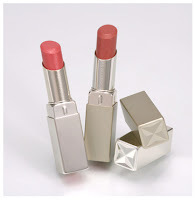 Pics of part of the Armani holiday collection from Cosme.net. 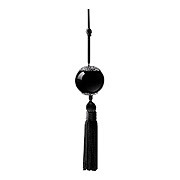 Black Gem Jewel For Lip: Lipgloss pendant studded with Swarowski crystals, includes a mirror. (21,000yen). The Lunasol holiday coffret (or as the Lunasol website proudly pronounces it, "Lunasol Party Cofflet 2007"... whoever writes the promotional copy for these ads should be shot or at least sent back to English school) "Silver Pink Lighting" is up on the Lunasol website. 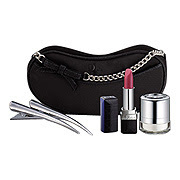 The set features Lighting For Eyes EX03 (pale silvery pink, a medium chocolate, a dark brown and a pale gold), Geminate Liner EX01, Full Glamour Gloss EX06, Shining Face Color EX01 and an original gift box. It's hard to get excited about the coffret as the shades are too neutral or pale for my taste and instead of a pretty pouch, you get a boring brown box! But this being limited edition and the holidays, it will probably still sell out in a flash. So my advice is save your money for the spring collection which should be more stellar. 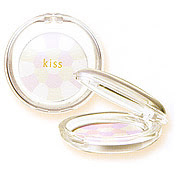 The coffret will retail for 6825yen starting 16 November. 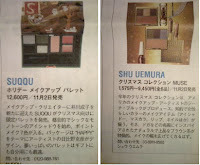 These pics from 2 Channel are also taken from WWD Japan (21 Sep issue). 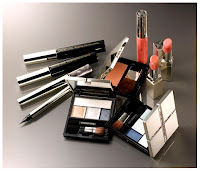 The Shu Uemura collection "Muse" is produced by American makeup artist & Shu Artistic Director Gina Brook. It is inspired by Monet and features an elegant palette of natural browns. The colection will be launched on 2 November. The Suqqu Holiday Makeup Palette (12,600yen) has a "Happy" theme and features 4 eyeshadows in black, smokey grey and white, a powder blush and two lip shades. The release date is also 2 November. Bobbi Brown's limited edition Pink Quartz Shimmer Brick (5460yen) will be launched on 1 December. 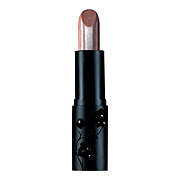 It features shades of pearly pink, pink beige and brown with gold shimmer. Finally, Magie Decorte is also putting out a new eyeshadow palette and loose face powder in a glossy red packaging for its first holiday collection. Stila Japan is releasing another series of eyeshadow trios and cheek duo in the classic round silver cardboard packaging with the Stila girls illustrations for this holiday! Unfortunately, these are probably exclusive to Japan although Taiwan often gets the Japan-exclusive collections as well. The pics surfaced in the 21 September edition of WWD Japan and someone uploaded them to 2Channel. The resolution is quite poor though. The collection will be launched on 7 December. Or you can always wait for the Stila warehouse sales which usually take place in spring in LA. Past Japan-exclusive trios like Sakura, Intrigue and Mystique have shown up at these sales before. 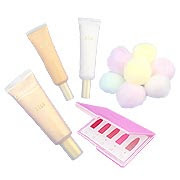 The silly thing is that these are all manufactured by the Stila head company in LA and I don't understand why they do it only for Japan when there are many other Stila collectors around the world who would just love to be able to get these. 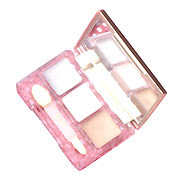 From the pics, it looks like we're also getting another of those long rectangular eye/lip/blush palettes studded with Swarovski crystals but these usually just rehash shades from the existing range. The holiday collection will be launched on 7 December. You can also see the LE holiday cheek duo very clearly near the end of this video by a lady who was lucky enough to get a big shipment of surprise goodies from Stila. 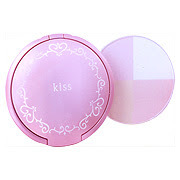 The blushes look a bit washed out but the Stila girls illustration on the lid is so pretty!! 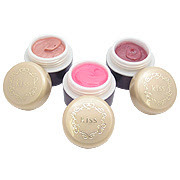 She also received the holiday set of 6 lipglazes in the classic style. Check out the new Esprique Precious commercial for its Beauty Skin Pact (Moisture) powder foundation SPF 15 PA++ featuring Gemma Ward. I've been using the Beauty Skin Pact (UV) which is the spring/summer version in OC405 for the past few weeks and am impressed by it. 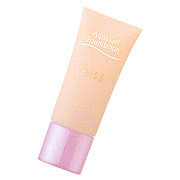 It is a breeze to apply as it goes on smoothly, the color match is excellent and just looks so natural that it looks like you have good skin instead of a face caked with heavy makeup. 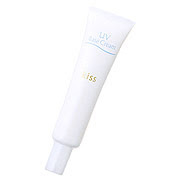 The coverage is good enough to tone down redness and even out my skintone as well as reduce the appearance of enlarged pores (my biggest skin problem aside from acne). My skin always gets oily after a few hours but with the Esprique Precious foundation, I just need to blot with an oil-removing sheet and my foundation looks as good as when I applied it. 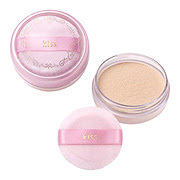 As reported earlier, Kanebo will be debuting a new so-called "total makeup brand", Coffret D'Or to replace T'Estimo, which has been Kanebo's mainstay color makeup brand in Japanese drugstores since 1991. In a marketing tactic that is a direct copy of Shiseido's successful Maquillage and Tsubaki campaigns, the advertising campaign for Coffret D'Or features five top Japanese actresses who will be able to appeal to a broad segment of Japanese ladies. They are Tokiwa Takako (35 years old), Nakatani Miki (31), Shibasaki Kou (26), Sawajiri Erika (21) and Kitagawa Keiko (21). Tokiwa, Nakatani and Shibasaki are the more established of the lot with many high-profile movie and television drama roles. Nakatani is actually my favourite Japanese actress, thanks to dramas like Merry Christmas in Mid-Summer and movies like Christmas on July 24 (7月24日通りのクリスマス). 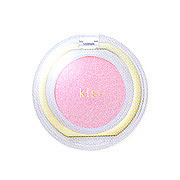 Unfortunately, Kanebo has decided to go the "no print price" route with Coffret D'Or, just like Shiseido did with Maquillage and Kose with Esprique Precious. 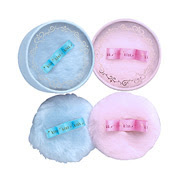 That means that the prices are not printed on the products and the drugstores are not able to offer discounts like what is regularly done for T'Estimo and Revue. So in effect, most Japanese consumers are going to be paying almost 40% more than before for similar products. For example, a T'Estimo eyeshadow quad is 2572yen after a 30% drugstore discount but Coffret D'Or palettes will be 3675yen. At that price level, Coffret D'Or is still cheaper than say Jill Stuart, Awake or RMK in Japan but one would certainly think a lot longer and harder before splurging on Coffret D'Or than for T'Estimo. 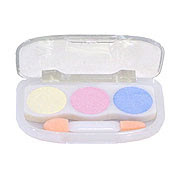 Of course there are still cheaper drugstore brands like Lavshuca and Majolica Majorca, but there will be a gaping hole in the 2000yen+ category for eyeshadow palettes that are high quality, trendy but still affordable. 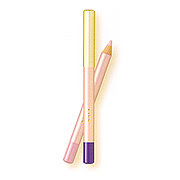 Testimo and Revue will be phased out gradually after the introduction of Coffret D'Or. But perhaps the biggest flaw of Coffret D'Or is that there isn't a sense of fun or inventiveness about the products or genuinely unique brand identity that can inspire the kind of fierce lemmings that Jill Stuart does so well. The products and shade selections look like they're targeted for an older age group than T'Estimo. It's like the suits at Kanebo just decided to do a re-hash of Maquillage, from the advertising strategy down to the staid, boring color palette, and not even a terribly creative re-hash at that. Kanebo hopes to achieve sales of 30 billion yen in Coffret D'Or's first year. 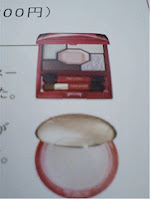 As a comparison, Maquillage currently has annual sales of 50 billion yen. 8. 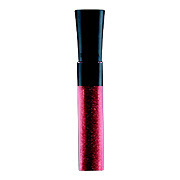 Black Gem Jewel For Lip: Lipgloss pendant studded with Swarowski crystals, includes a mirror. (21,000yen). The collection sounds delightful but as usual, the products are priced out of the average consumer's reach. 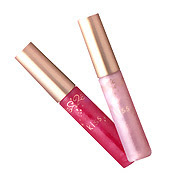 Seriously, how many women would pay about US$200 for a lipgloss pendant, no matter how shiny it is?! Also, Armani palettes with the two layer design are usually priced at 8400yen but the holiday ones are a whopping 50% more expensive! 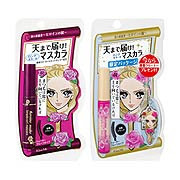 If you've shopped at a Japanese drugstore before, chances are that you would have come across Heroine Make's line of mascaras with their distinctive burgundy packaging and blonde manga girl illustration (left in pic). 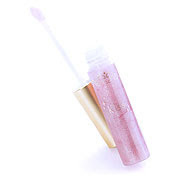 For this holiday season, Heroine Make is releasing a limited edition version of their best-selling Long & Curl Mascara (waterproof) that comes with a cute little charm that has a spongy material on the reverse side that can be used to clean your cellphone screen. The charm is on the bottom right corner of the packaging. The retail price is 1029yen and it will be released on 5 November. 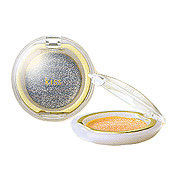 Mary Quant, a British fashion designer who became famous in the 1960s for her mod-themed looks, has her own line of makeup and skincare in Japan where it is retailed in department stores and specialty stores such as Plaza Style. 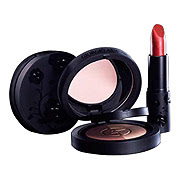 The makeup line retains the youthful, pop sensibility of Mary Quant's style with its signature floral logo and vibrant color palette. The release date is 2 November. 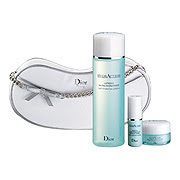 Continuing the preview of Christmas coffret sets, here are the upcoming makeup, skincare and fragrance kits from Dior that will be released in Japan on 2 November. Dior never fails to impress with its classy, elegant packaging especially for its makeup palettes but the shade selection just hasn't been that outstanding enough to get me into the brand.